AFP: A rally of hundreds of cars carrying supporters of Sri Lanka’s deposed Prime Minister brought chaos to Colombo streets on Thursday as they demanded that Parliament be reopened. President Maithripala Sirisena named former President Mahinda Rajapaksa as the new Prime Minister in a shock move on 26 October, and suspended Parliament so neither has won a vote of confidence. The rival Prime Ministers have now spent nearly two weeks at loggerheads, and the move – which has been described as illegal by opponents – has triggered a constitutional crisis. 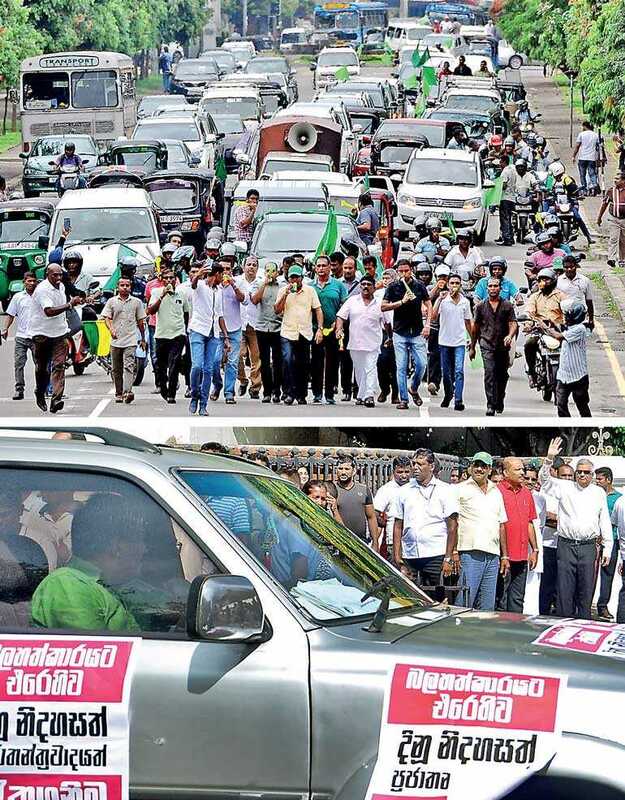 The motorists displayed posters of Wickremesinghe and carried banners which read ‘People Power’. “The Embassy reminds citizens that even events intended to be peaceful can turn confrontational and escalate into violence,” it said. Rajapaksa is reportedly trying to engineer defections to ensure he has a majority in the 225-member assembly which Sirisena has said can only reopen on 14 November. Sirisena has filled only 22 of 30 Cabinet positions – purposefully keeping some jobs vacant to tempt legislators of Wickremesinghe’s party to defect to Rajapaksa’s side. According to latest counts, Wickremesinghe has 103 MPs after gaining a defector on Tuesday, while Rajapaksa and Sirisena have 101.